The 55th annual day celebrations of the 1,000-plus member strong Indian Drug Manufacturers’ Association (IDMA) heard both veiled and direct references to uncertainties around the emergence of a new protectionist regime with US President Donald Trump taking charge, and how several other markets such as Japan and Australia could represent significant opportunities for Indian firms. Sudhanshu Pandey, joint secretary at India’s Department of Commerce, referred to “rising voices of protectionism” from different parts of the world, but noted that the world had become “more connected, interdependent” making it “next to impossible to reverse the clock” in the foreseeable future. “Interdependence will only grow and this is going to throw up opportunities for all players,” Pandey predicted at the IDMA event on Jan. 21, noting how Indian generic firms had played a pivotal role in promoting healthcare globally. Pandey made no direct reference to the US president’s recent views, but Trump’s statements on the need to get “our drug industry back,” and that supplies are not made in the US to a large extent, have triggered some concern in India. “The biggest issue for Indian companies could be on account of his stance on outsourcing and potential imposition of heavy taxes on ingredients/drugs coming into the US, or a crackdown on overseas manufacturing,” HDFC Securities said in a report dated Jan. 23. The report also added that US pharma companies that have built overseas supply chains will be “especially wary” of Trump’s threat to impose an import tax on items manufactured abroad. He noted that the key question for the world is how to get affordable universal healthcare in every country; KPMG is working with the government of Bahamas and certain provinces in China in this area. He also referred to one of KPMG's biggest projects concerning New York state that has a budget of $60bn for Medicaid. KPMG has been commissioned by the New York state commissioner to move that spend from being fee-for-service to some kind of outcomes-based payment. “He [the commissioner] wants around 80% to be outcomes-based in five years and also reduce avoidable hospital stays by 25%; this is a massive change for the US and something that was unimaginable only a few years ago," Stirling observed. While the US was India’s top destination for pharmaceuticals and fine chemicals in 2014-15 with exports of close to $5bn, joint secretary Pandey highlighted prospects in other markets as well. India was among the leading suppliers of drugs to the US and the only “so-called low cost economy” in the top five, and Pandey noted how a significant part of US pharmaceutical imports came from “high cost economies” like Ireland, Germany and Switzerland. He believes the Indian industry’s “competitiveness” could help expand its share in the US. “Therein lies the opportunity for all of you. And I’m discounting the outbound foreign investment from the Indian pharma industry,” he said, adding that Indian firms had invested in excess of an estimated $4bn in the US over the last few years. Pandey also referred to opportunities in other countries like Japan and Australia, which have had a low share of generics and are now scaling up in this sector. “With healthcare costs becoming almost unsustainable, both countries have planned to increase the share of generics substantially,” Pandey noted; Europe too is expected to up its share of generics as pressures rise. Generic drugs account for 89% of prescriptions dispensed in the US, bringing $227bn in savings in 2015, as per a report compiled by the QuintilesIMS Institute on behalf of the US Generic Pharmaceutical Association. 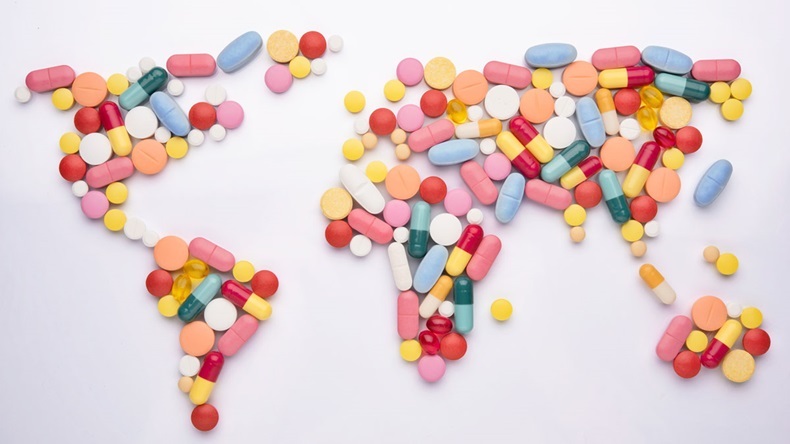 Indian pharmaceutical exports to Japan and Australia respectively were just $141m and $205m in 2014-15, according to data from Pharmexcil, the Pharmaceutical Export Promotion Council of India. There was also a reference to potential opportunities opening up in Switzerland for the supply of ayurvedic products, such as herbal-based medicines. Switzerland had previously voted to add a new article to its constitution for the recognition of complementary and alternative medicine (CAM), making it the first Western nation to implement the integration of CAM in its public health system. Meanwhile, Pankaj Patel, chairman and managing director of Zydus Cadila, reflected on the journey of the Indian industry and sought “stability and predictability” in the Indian government’s policies, along with a consultative approach to facilitate further industry growth. However, he acknowledged the challenge faced by industry around quality issues and sought that new benchmarks be set. “It’s not important to be big to be a quality-conscious company,” Patel maintained. K L Sharma, joint secretary at India’s Ministry of Health and Family Welfare referred to, among a host of other regulatory tweaks in the works, plans for upgrading GMP (good manufacturing practice) requirements in the country, but gave no specifics. Sharma also referred to how quality, at times not necessarily based on facts but “based on perception”, is taken as an “alibi” for protectionism. Find more content on US election here.